A massive weight advantage has Wagga trainer Peter Morgan hopeful Zarlu can make it consecutive Forbes Cups on Monday. Zarlu won the 2016 edition of the Forbes Cup defeating Leucura and the pair could again figure prominently in the $30,000 feature. This time, Zarlu has a 7.5 kilogram weight advantage from that encounter and he will also be well suited to the heavy track conditions. Leucura has been racing in peak form breaking the Narrandera track record last start when he carried 61 kilograms. The front-runner will have to carry an extra kilogram this time on a wet track that has been rated a heavy eight. “It’s a lot of weight for Leucura to carry but he is flying at the moment,” Morgan said of his main rival. Leucura also has form around another of his main dangers, Our Sarastro, defeating him in the Parkes Cup and they will meet on the same weight terms. Our Sarastro is a last start winner at Warren and prior to that ran second in the Wingham Cup at Taree and the Wauchope Cup at Port Macquarie. He has drawn the outside alley and will have the services of leading jockey Greg Ryan. Leucura’s trainer Chris Heywood is mindful of the extra weight but is also confident given the way his stable star is racing. “He is going really well and should get a good run from barrier five and be right there,” Heywood said. Zarlu ran on well late when third over 1200 metres on a heavy track at Wagga last week. The extra distance and another wet track are in Zarlu’s favour. “He has won four times on heavy tracks and can get through those type of conditions really well,” Morgan said. Zarlu has been with Morgan for his entire career and was bred by father and son Bill and Glen Prigg. 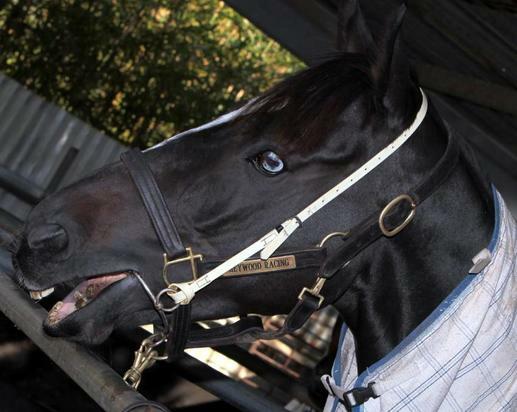 The eight-year-old galloper will surpass $100,000 in earnings if he can win on Monday. Also representing the Southern District in the Forbes Cup will be the Trevor Sutherland-trained Gentleman Max, and Go Get ‘Em for Kerry Weir and Megan Taylor.